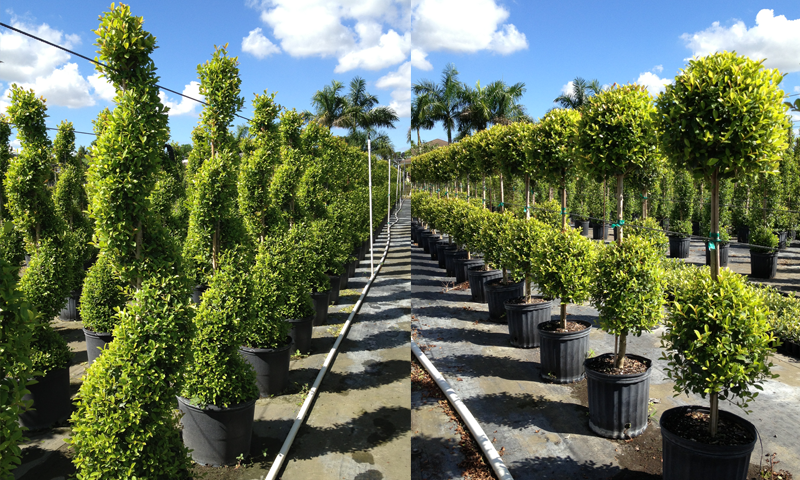 Big, green, & ready to go – get yours today! 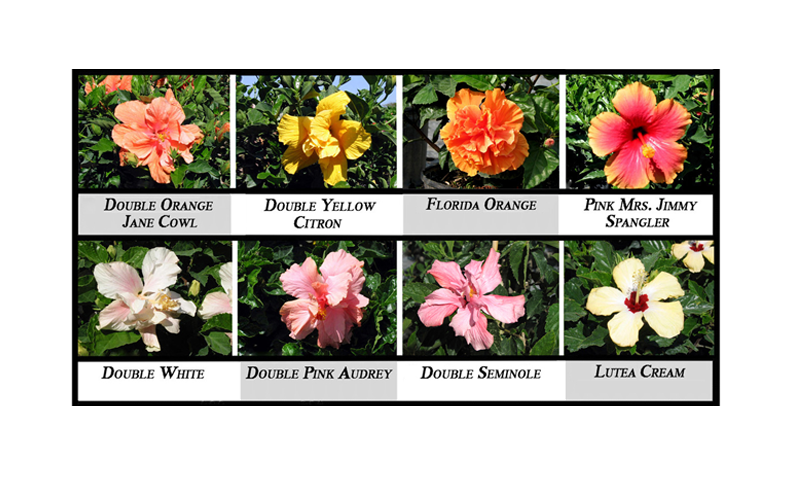 Blooms are here! 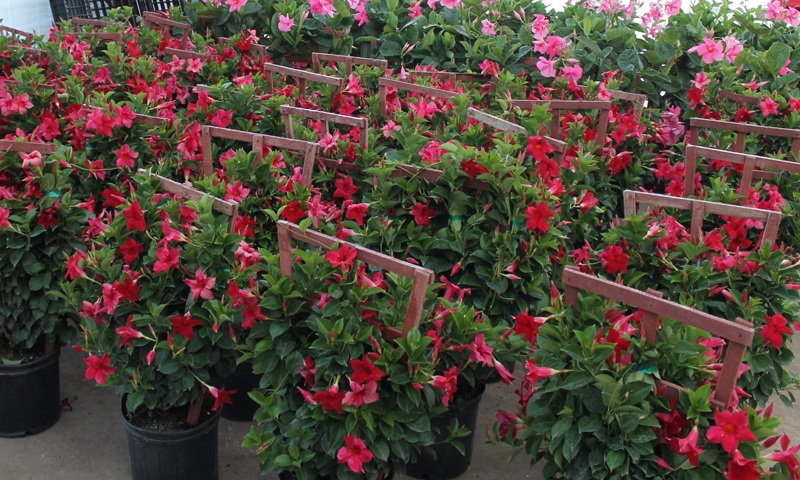 Get your first assortment of the season! 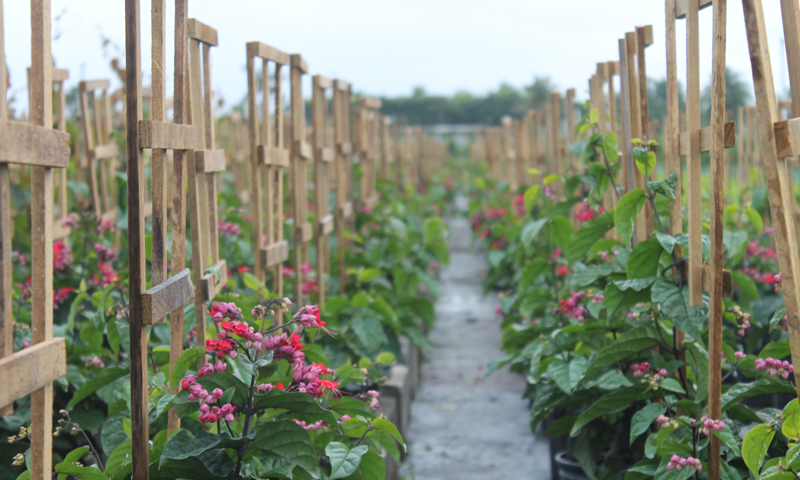 These 4PPP beauties are sure to amaze. 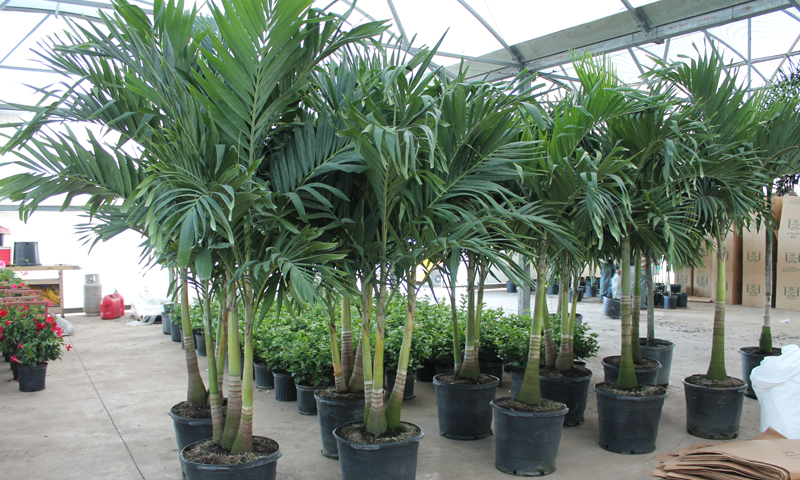 Talk about bringing home the tropics!! 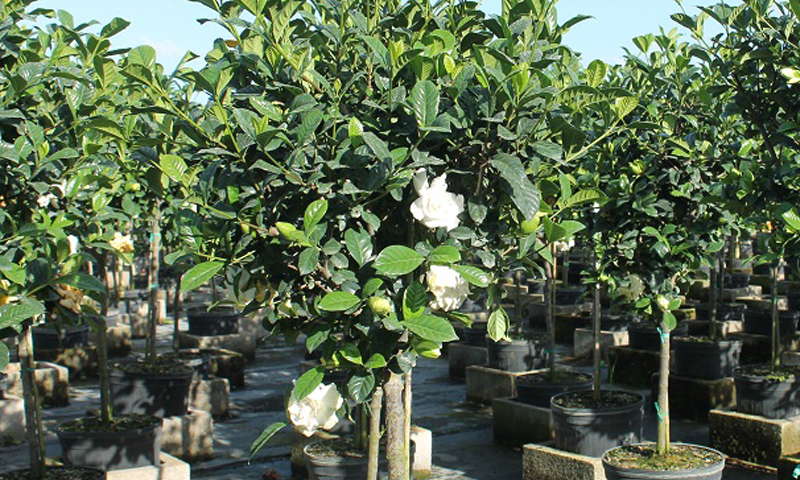 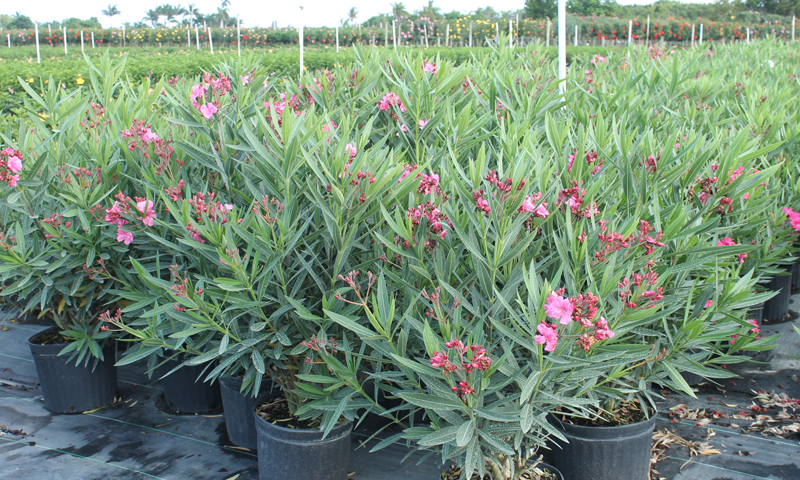 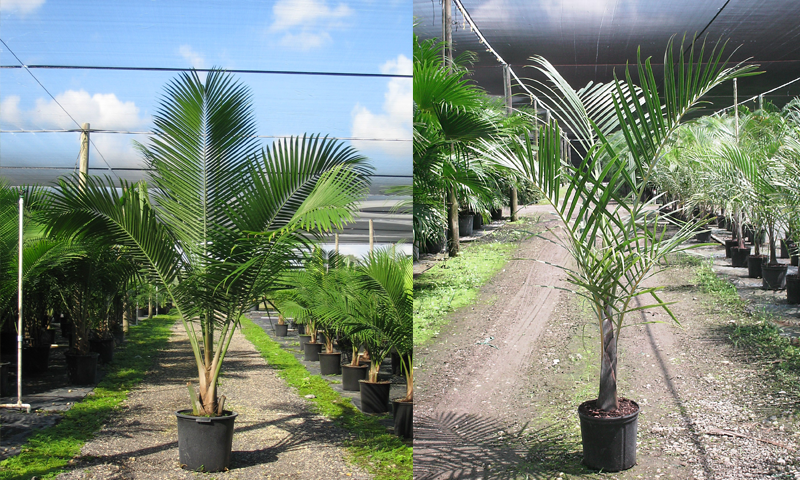 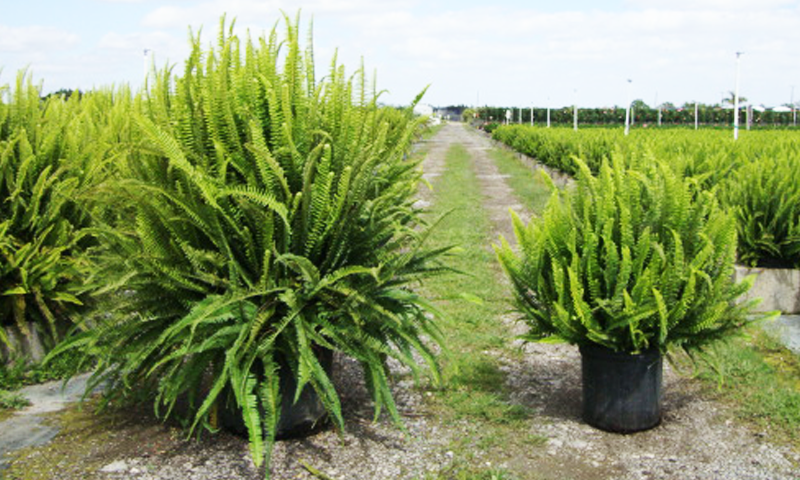 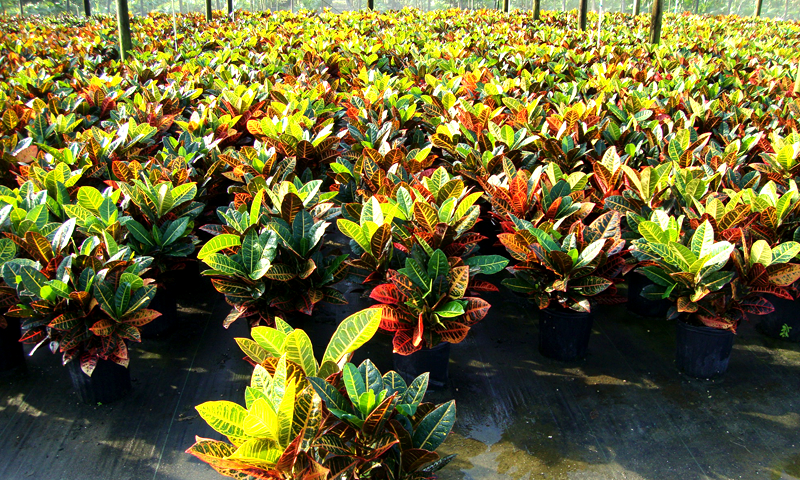 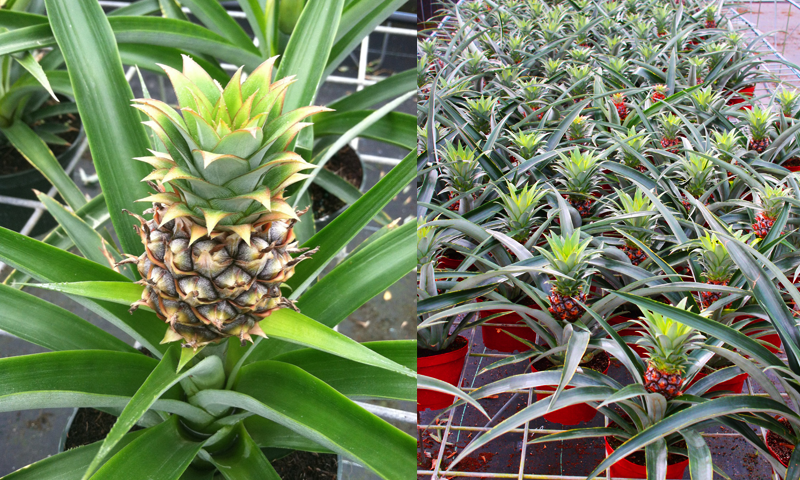 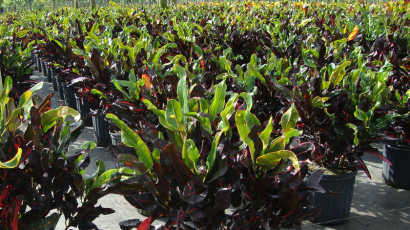 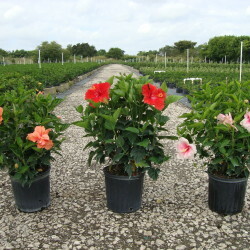 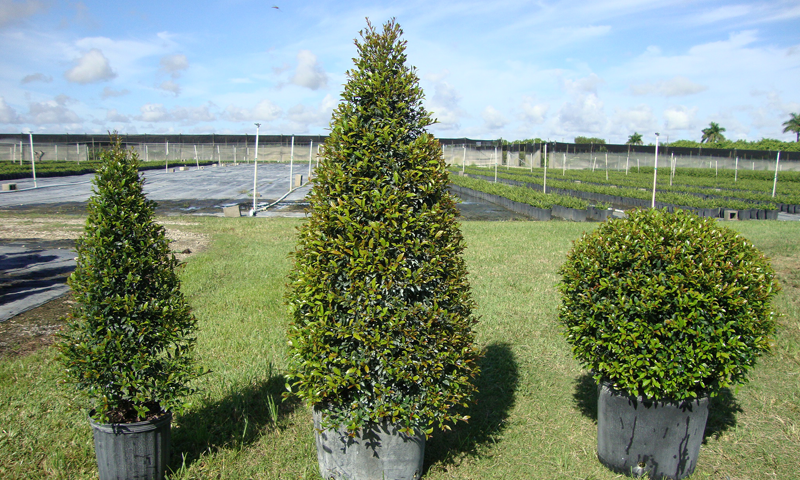 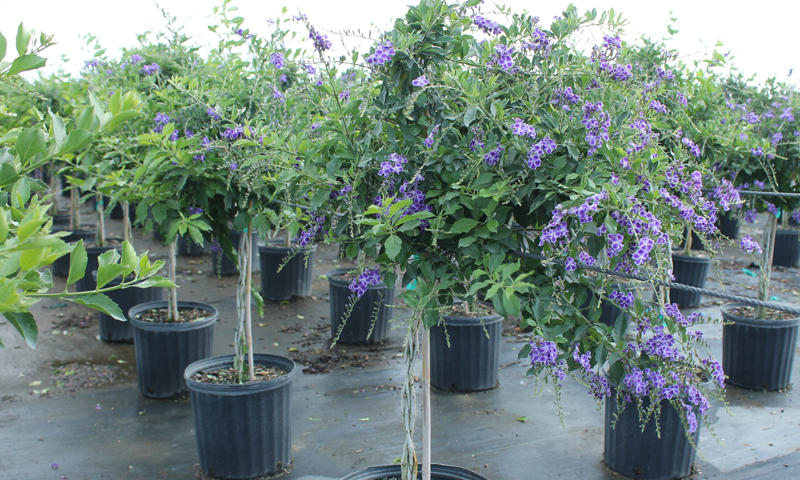 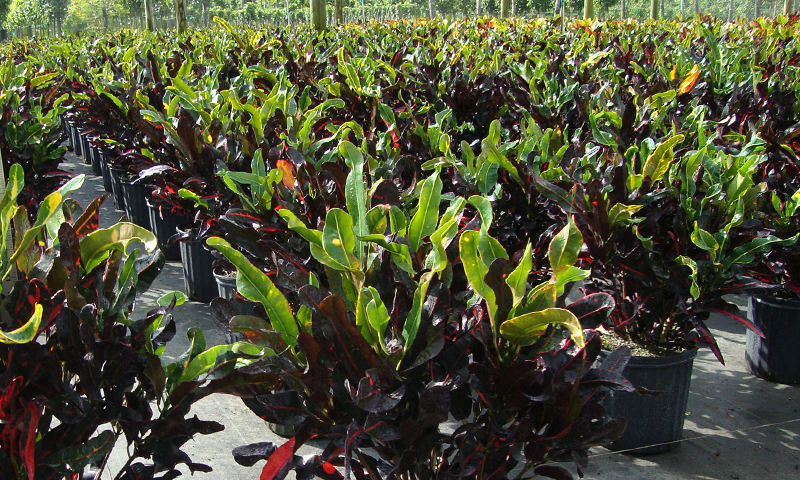 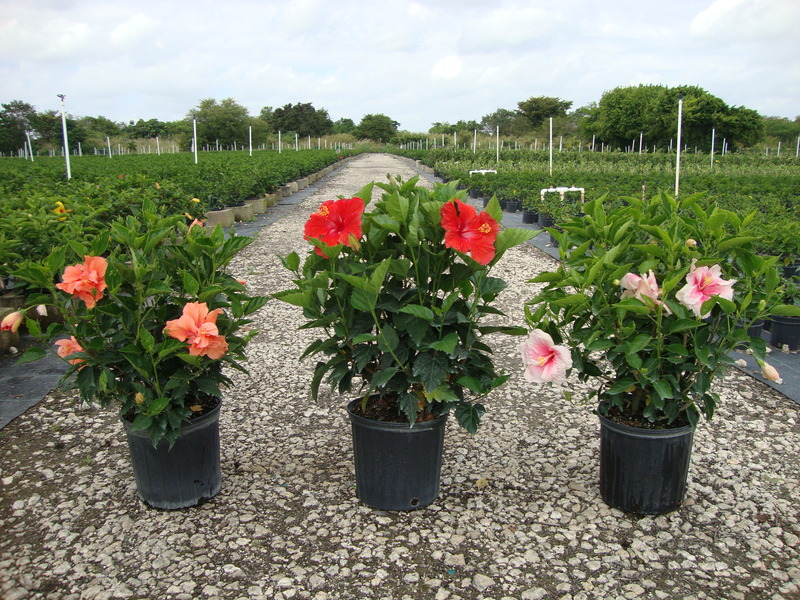 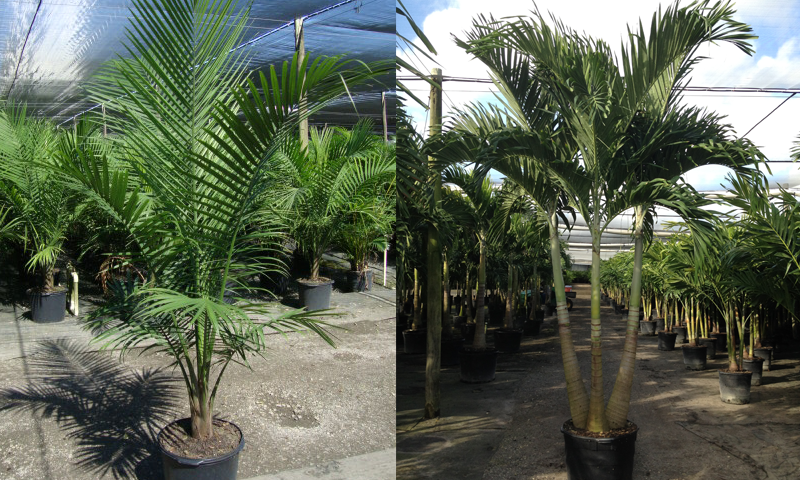 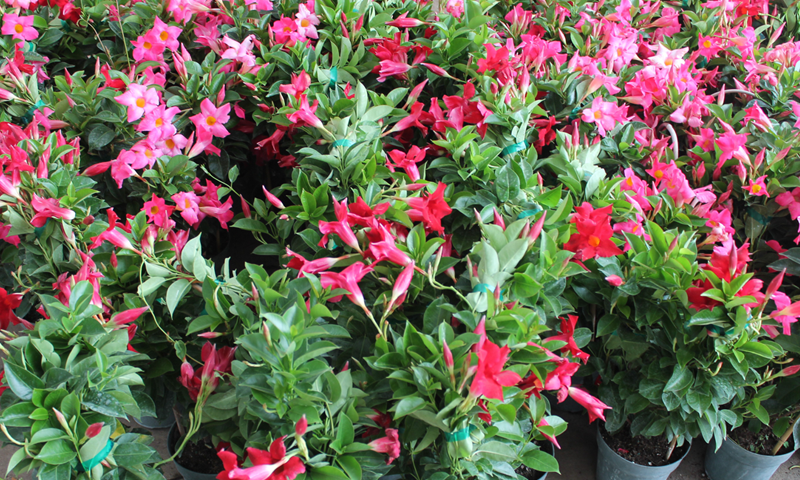 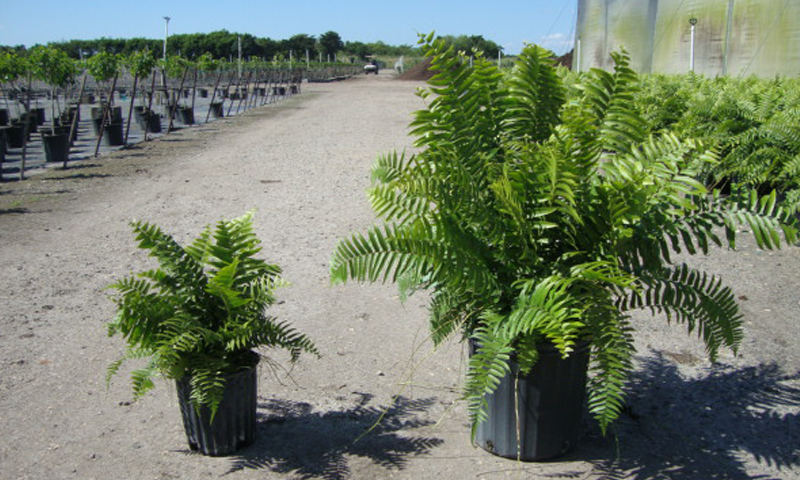 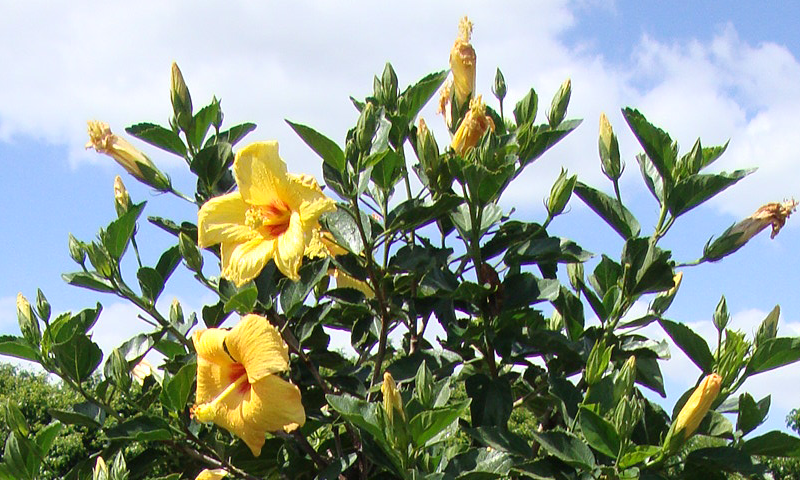 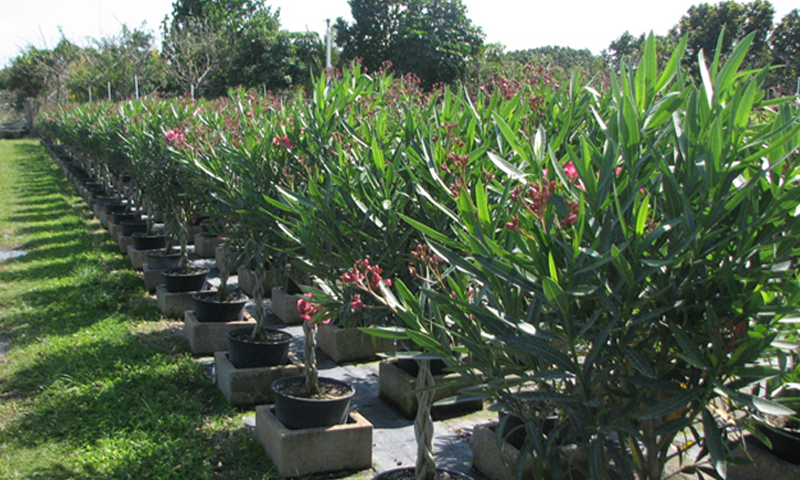 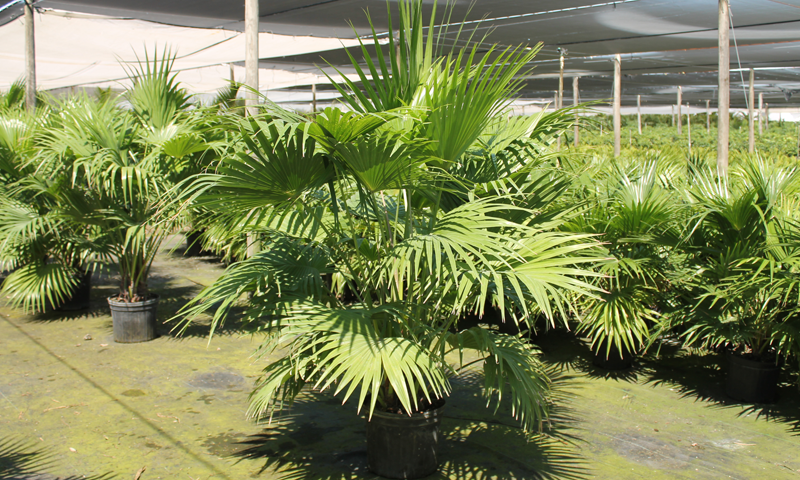 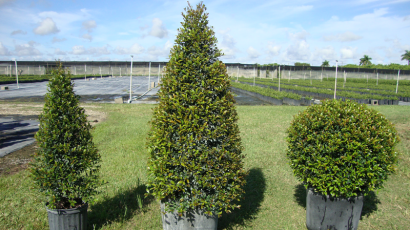 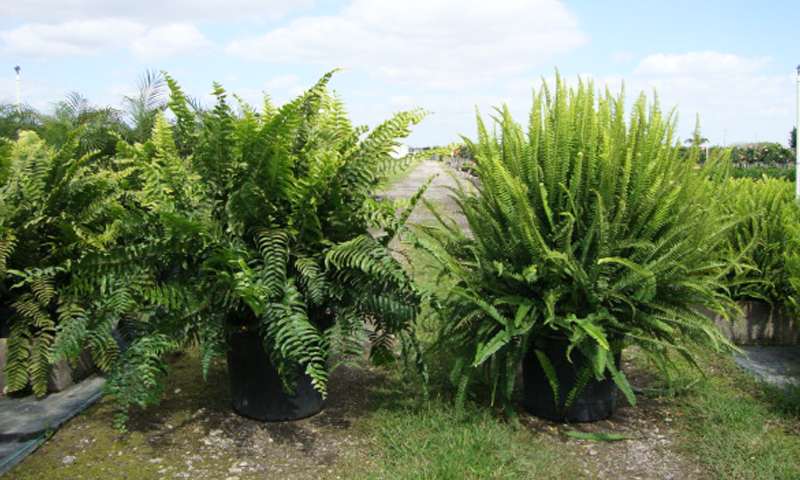 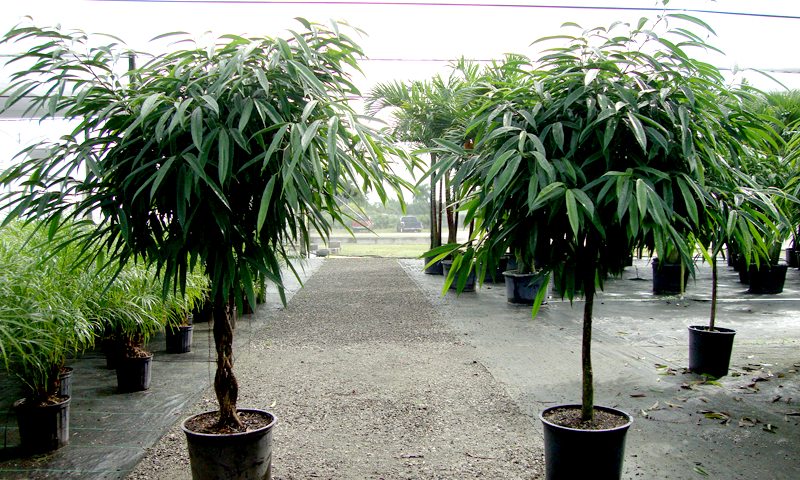 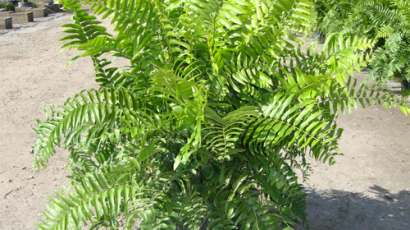 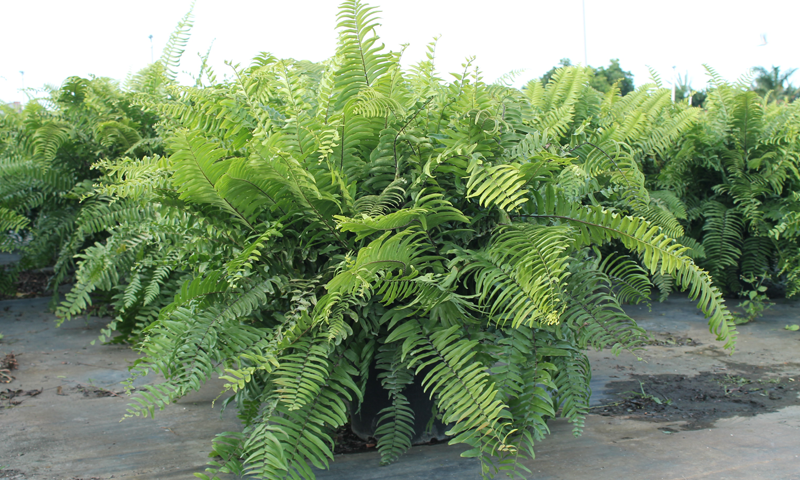 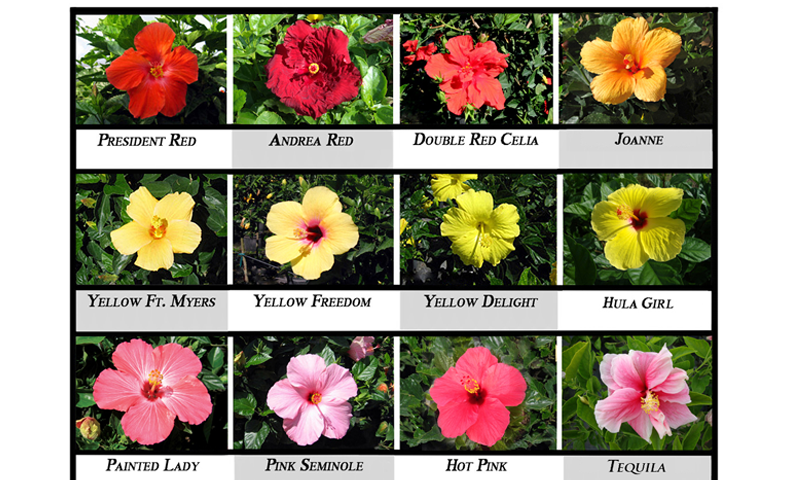 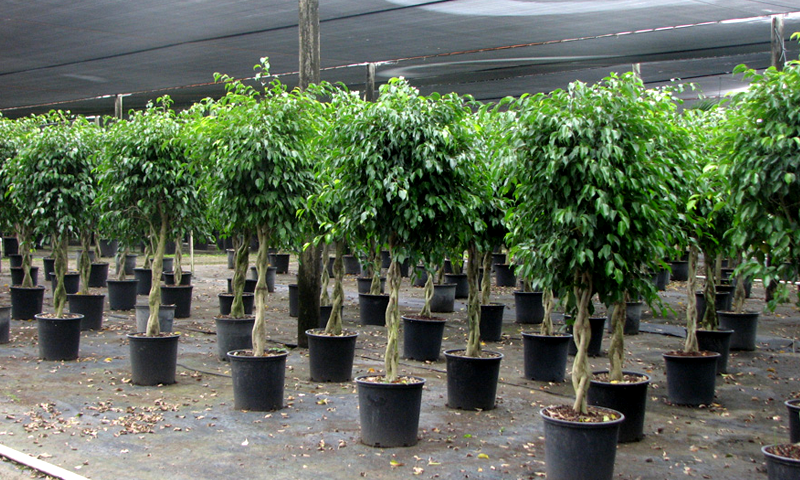 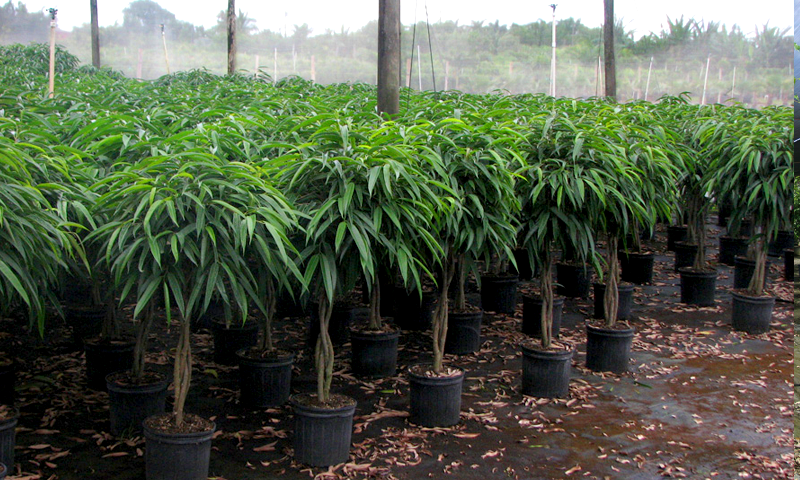 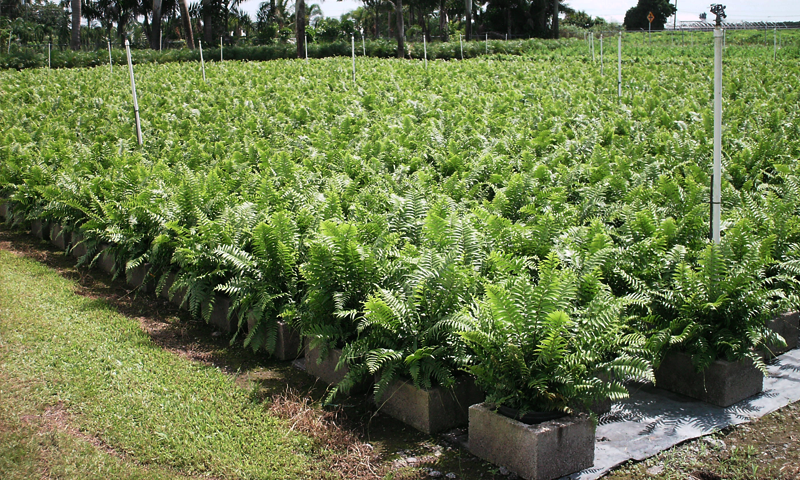 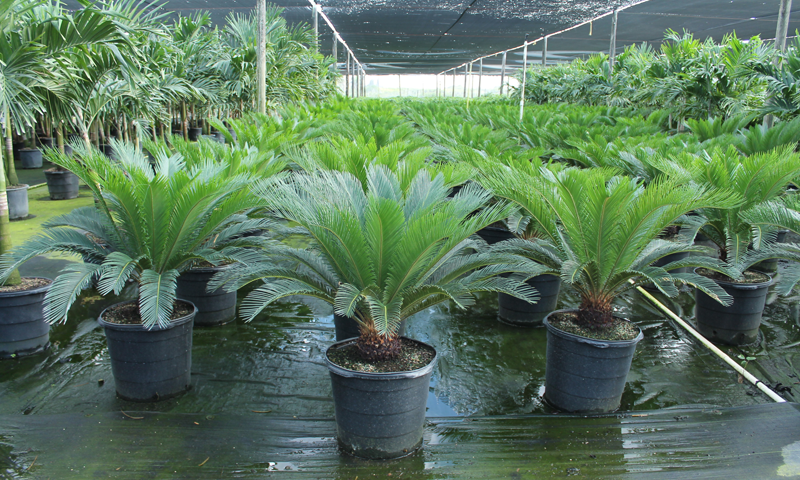 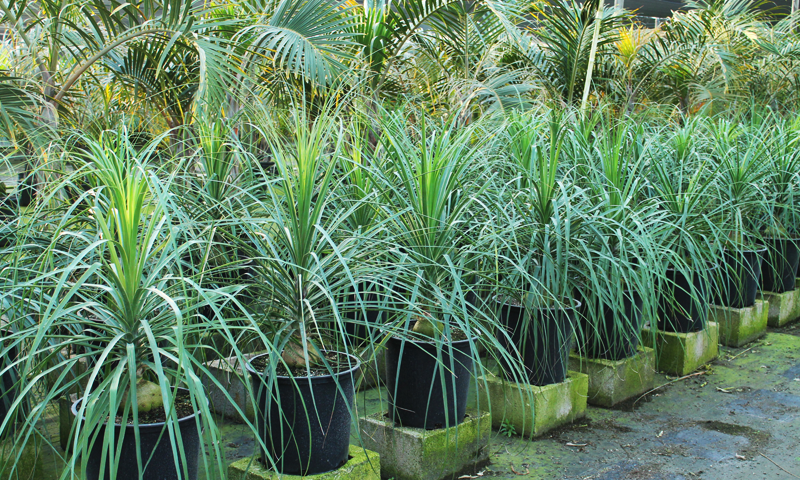 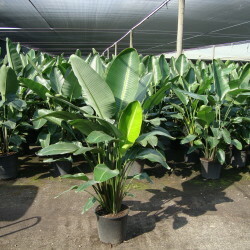 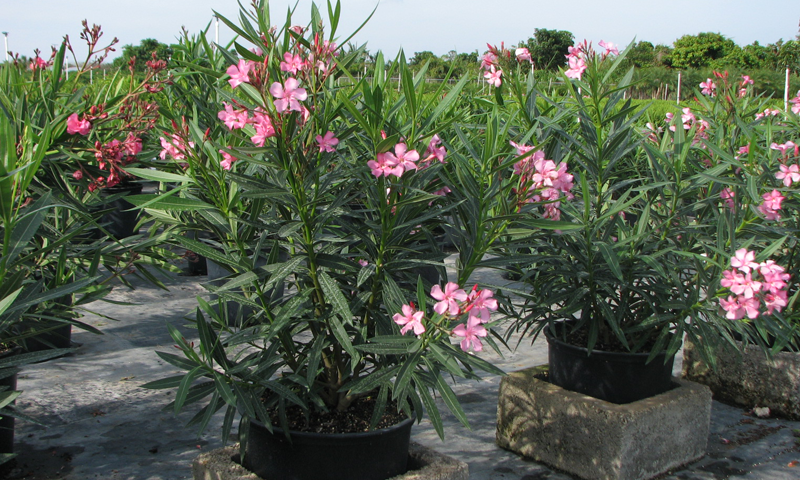 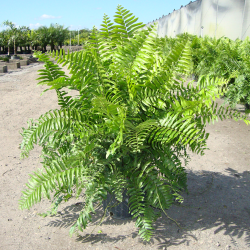 is South Florida’s premier wholesale nursery. 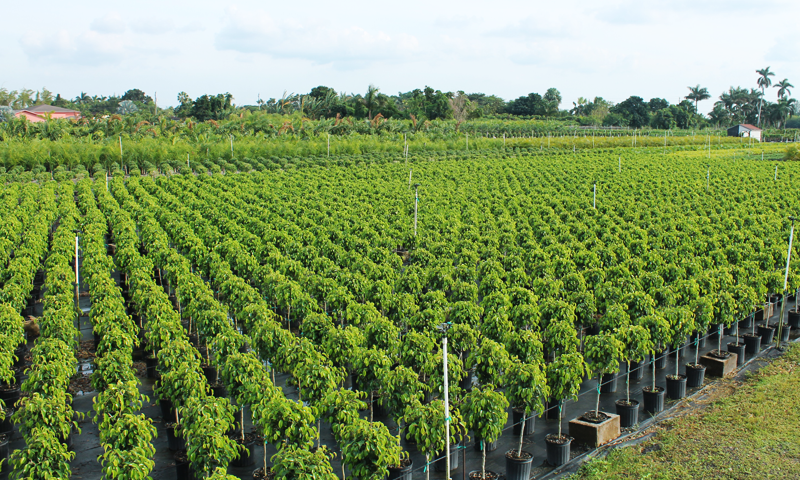 Family owned and operated, the nursery was founded in January 1981 by Michel de Vallois, and is now managed by his son, Antoine. 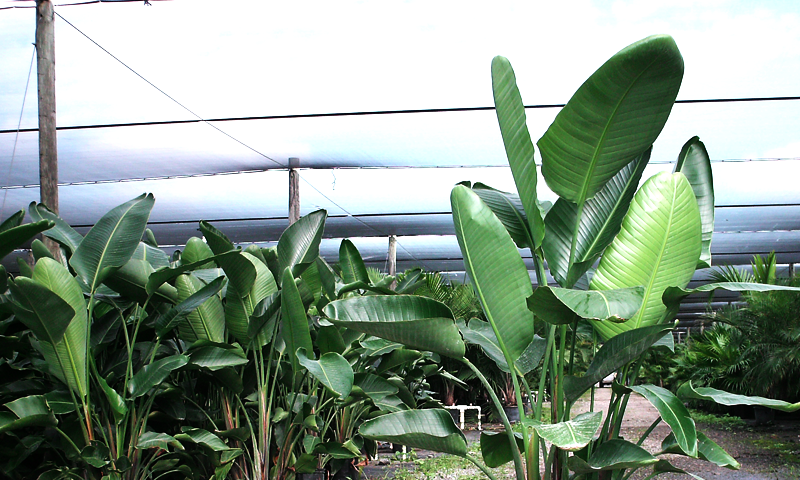 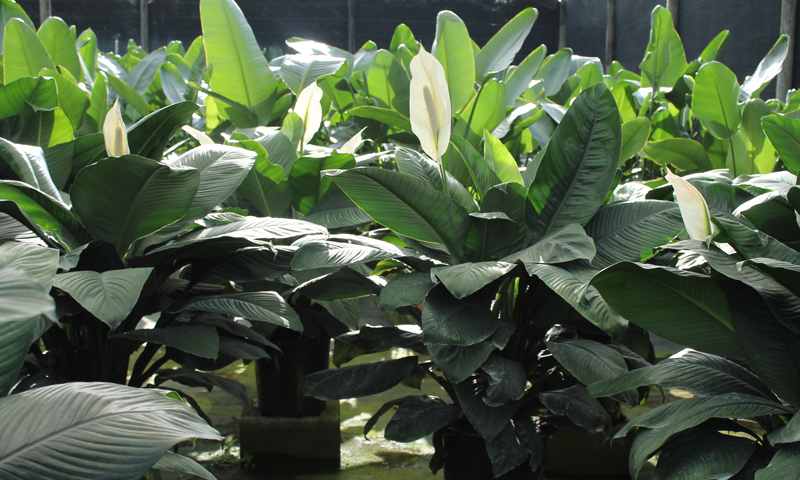 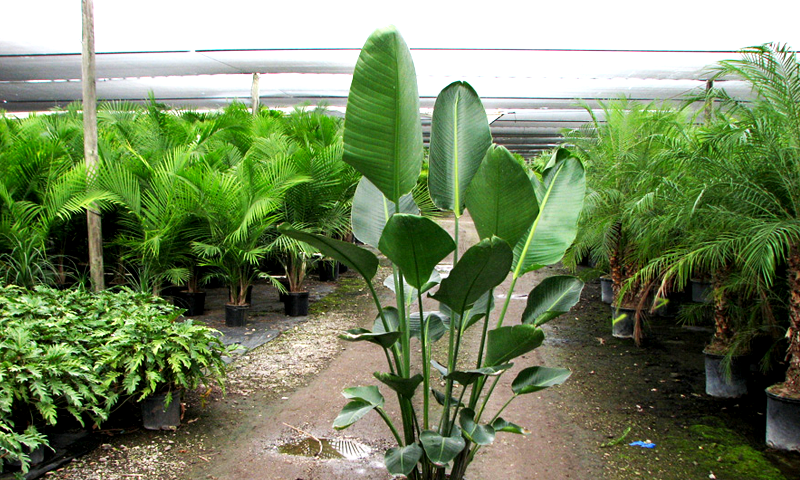 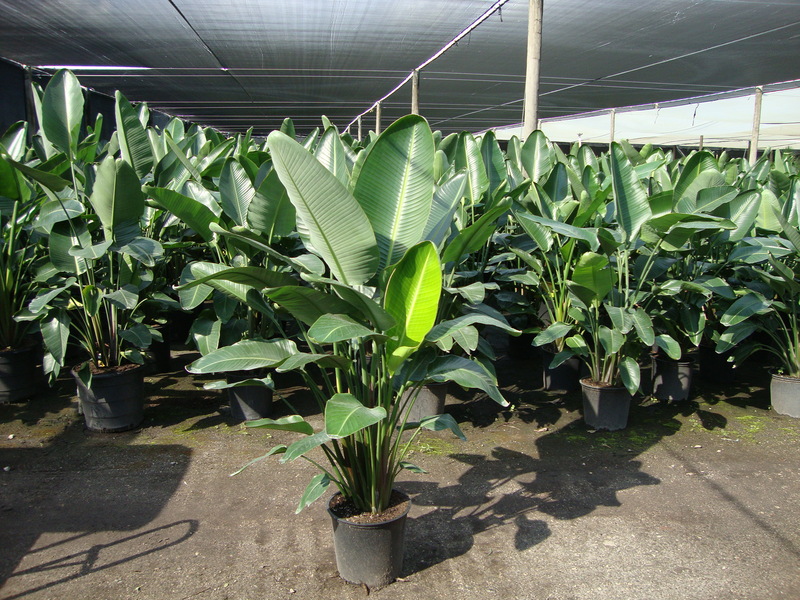 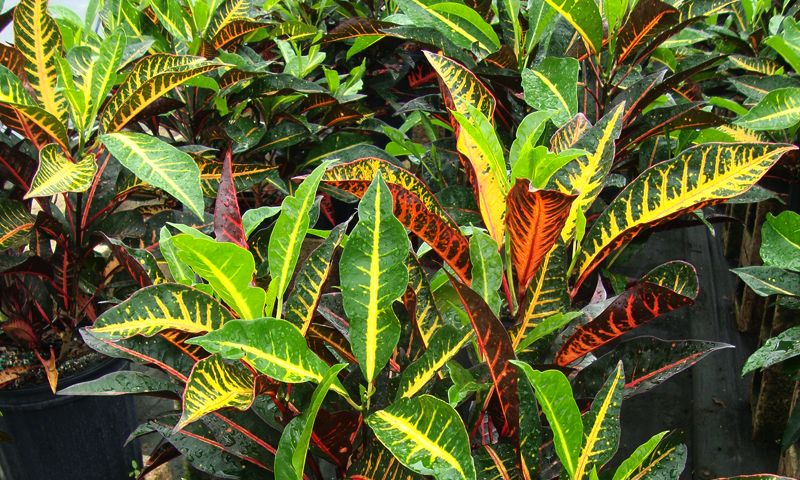 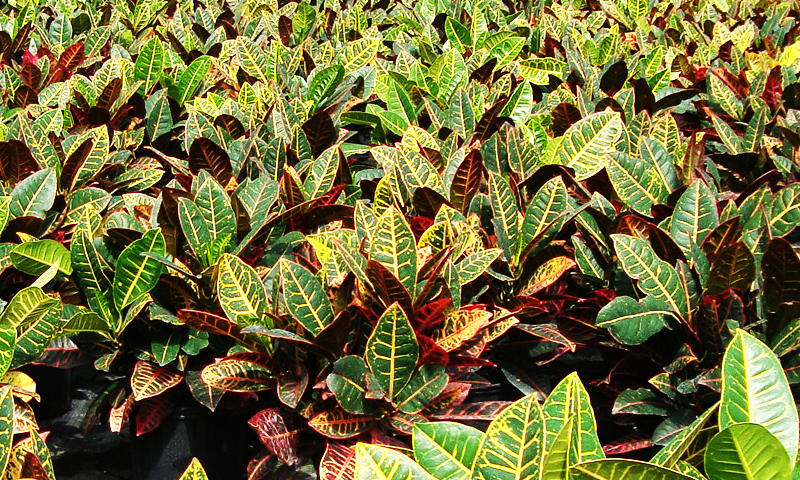 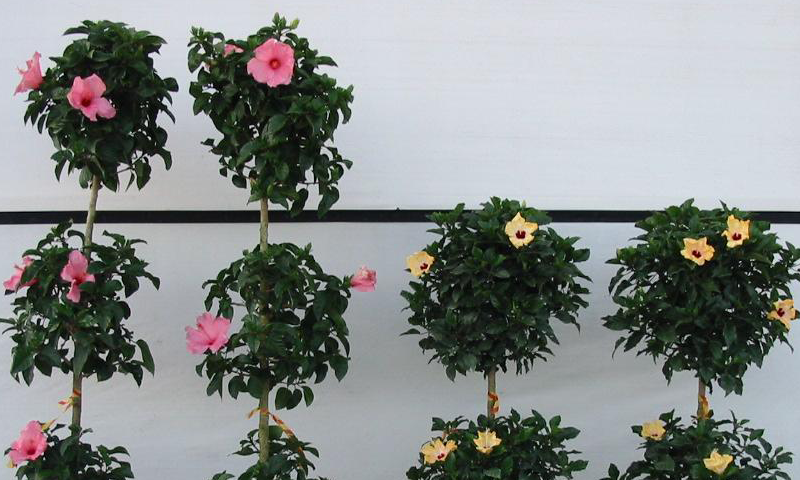 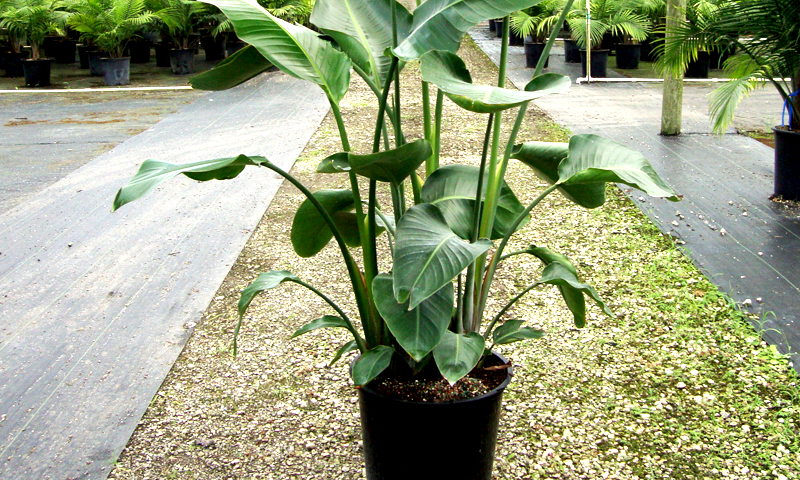 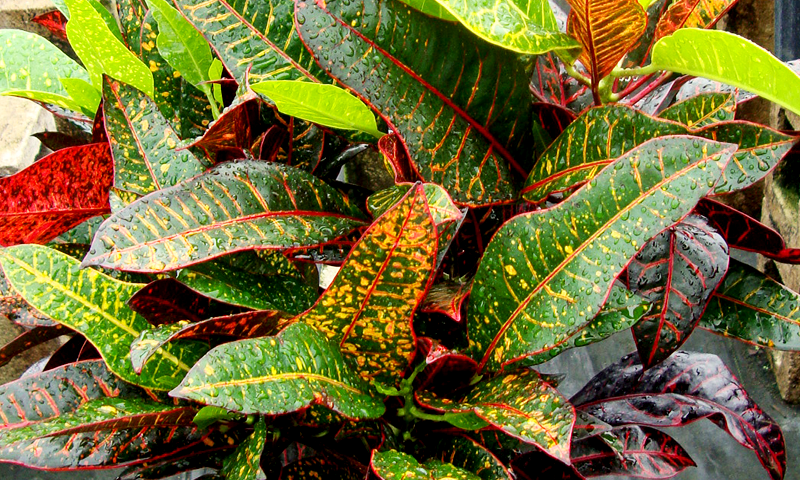 Located in Miami, Florida Tuxedo Plants encompasses 25-acres of bush, standard, braid, and multicolor Hibiscus, standard and topiary Ficus, Adonidia, Chinese Fan, Areca, Phoenix Roebelenii, bush and standard Schefflera Arboricola, White Birds of Paradise, Crotons, and more. 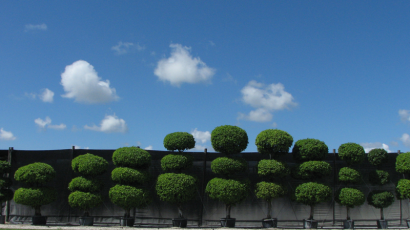 We ship nationwide daily on refrigerated trucks throughout the U.S. and Canada. 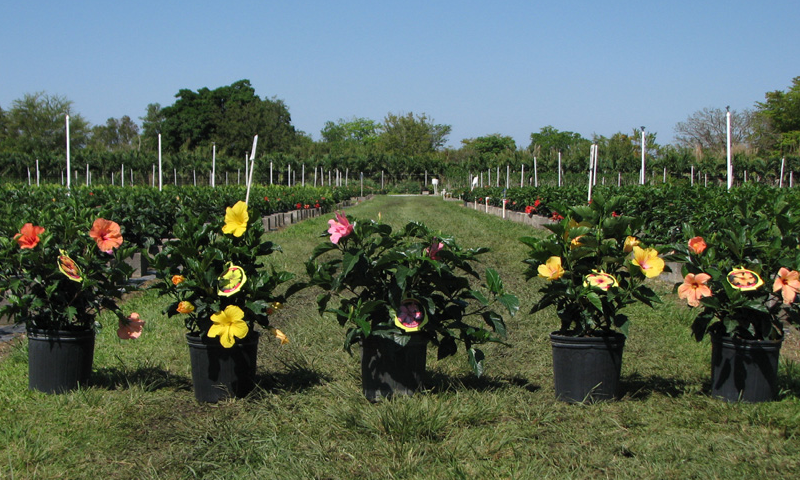 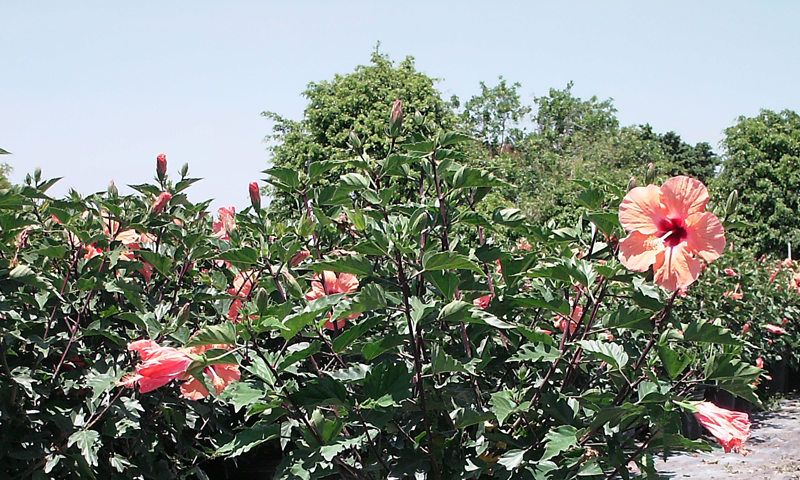 Located in the heart of the Redland agricultural community, our 25-acre nursery resides within the USDA plant hardiness zone 9. 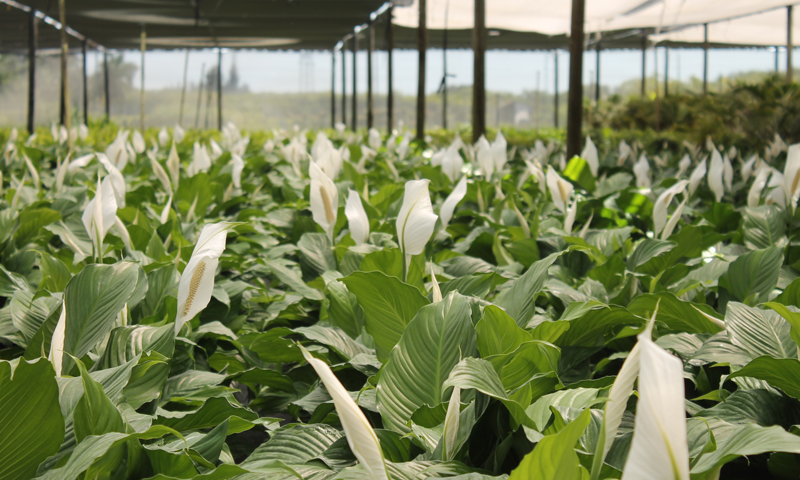 With five acres dedicated to shade houses developed to indoor acclimate a variety of our plant offerings, the other 20-acres house our full sun, outdoor varieties. 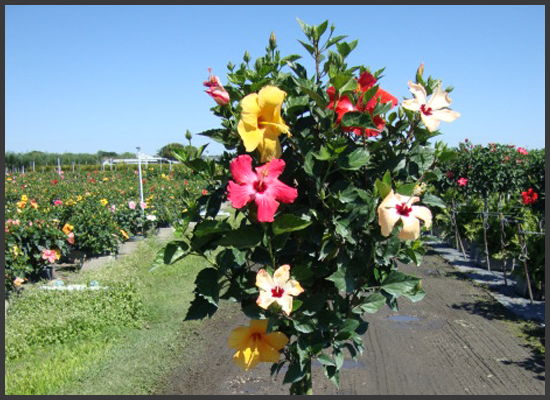 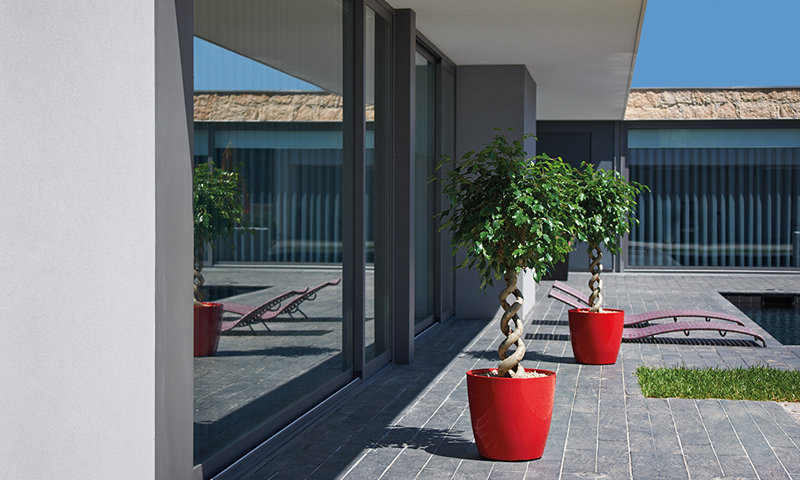 The entire property is equipped with overhead irrigation for watering as well as cold protection. 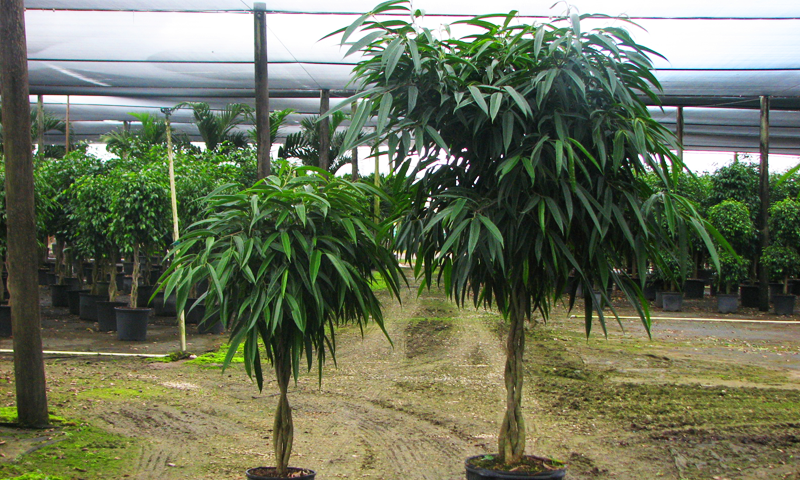 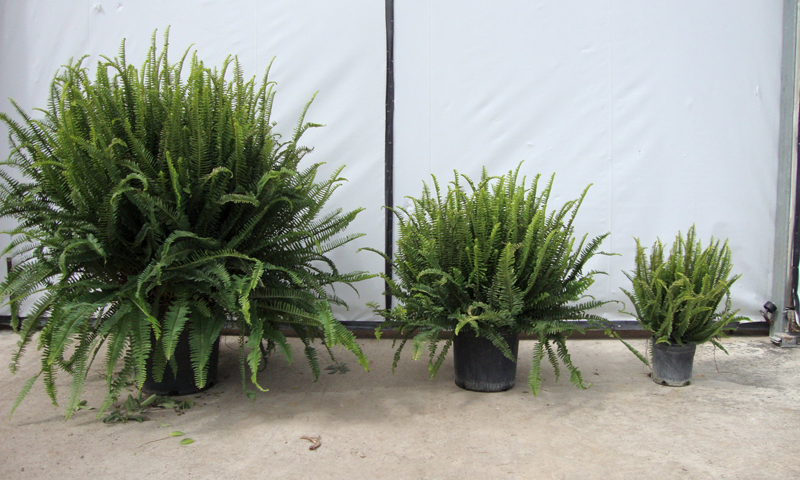 When it comes to shipping plants, we are as good as it gets! 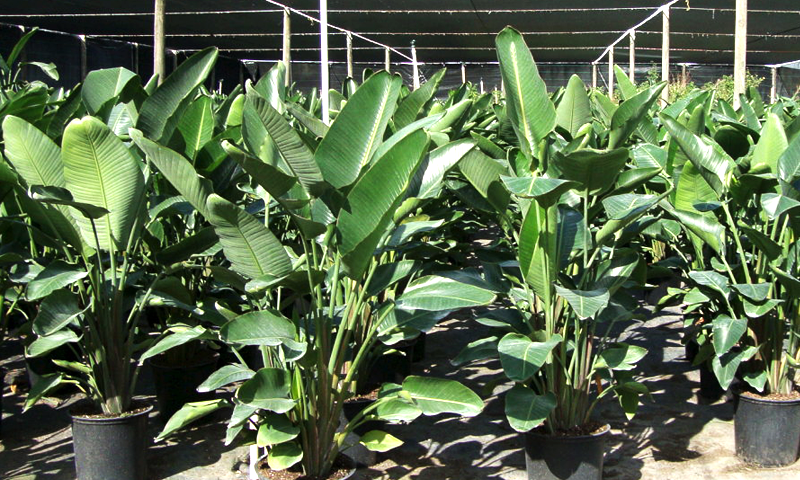 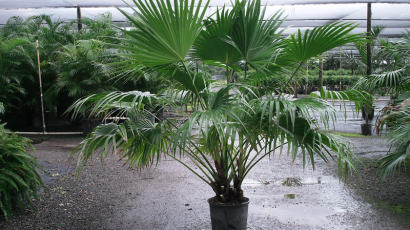 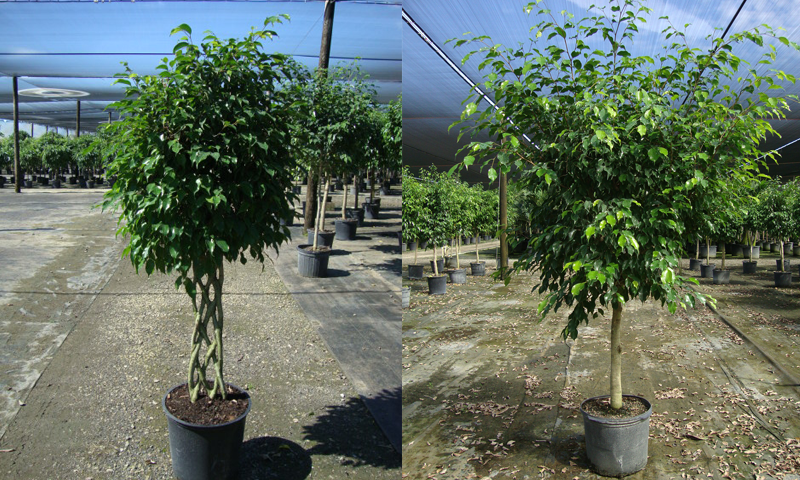 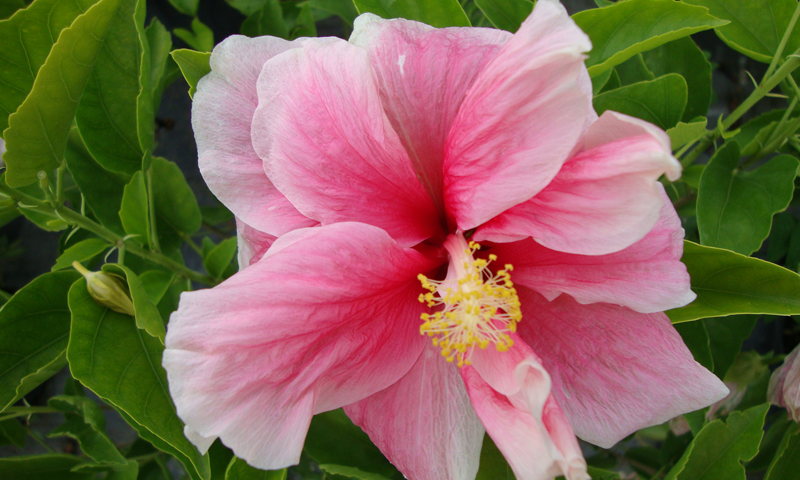 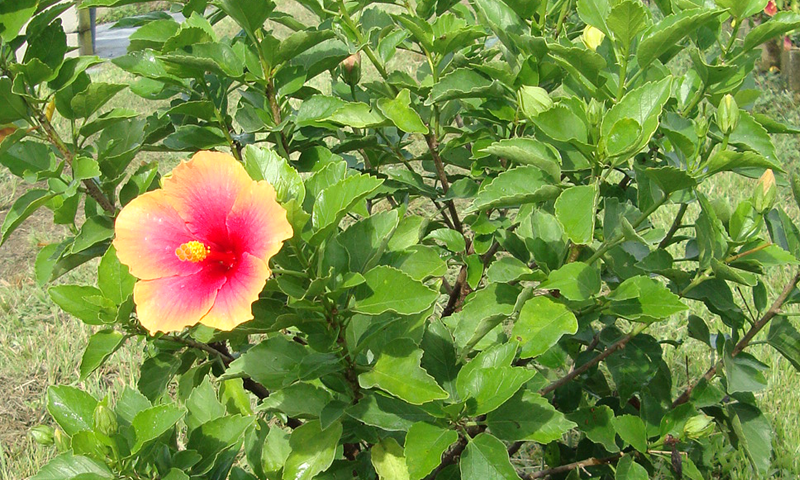 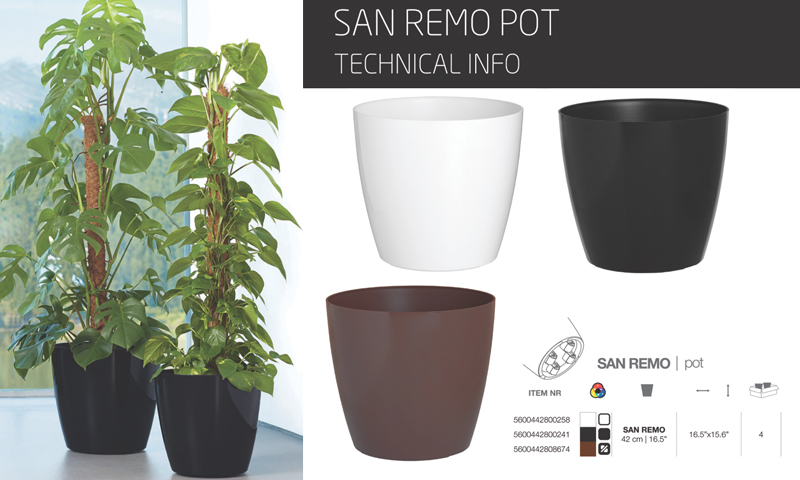 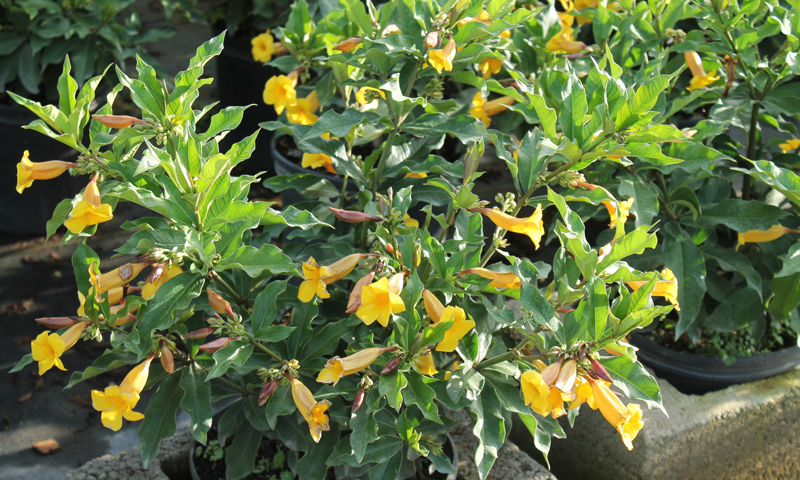 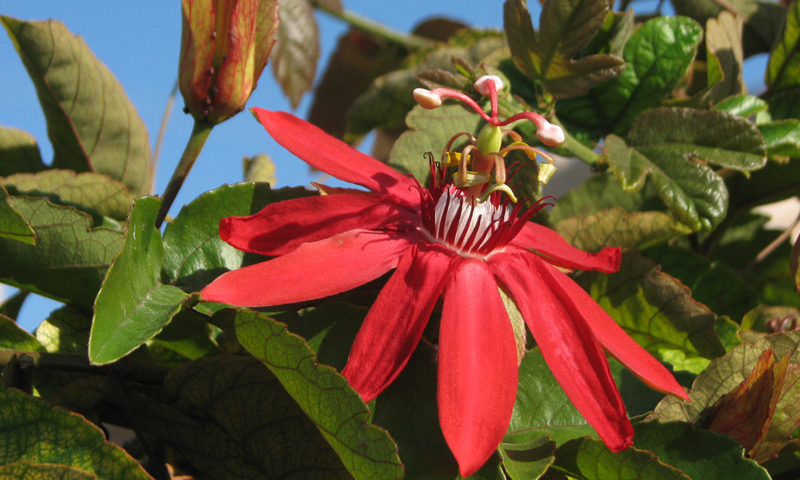 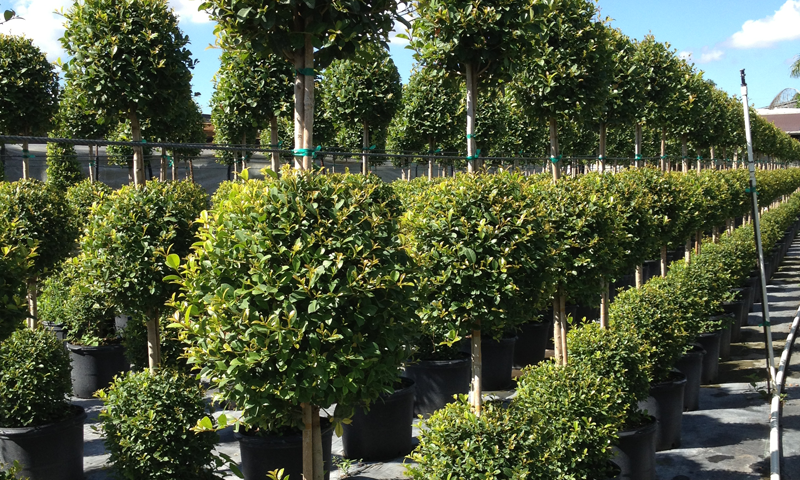 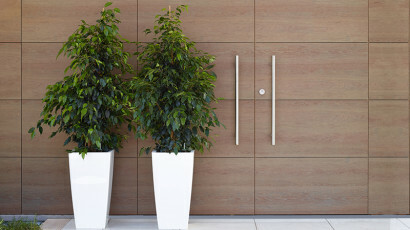 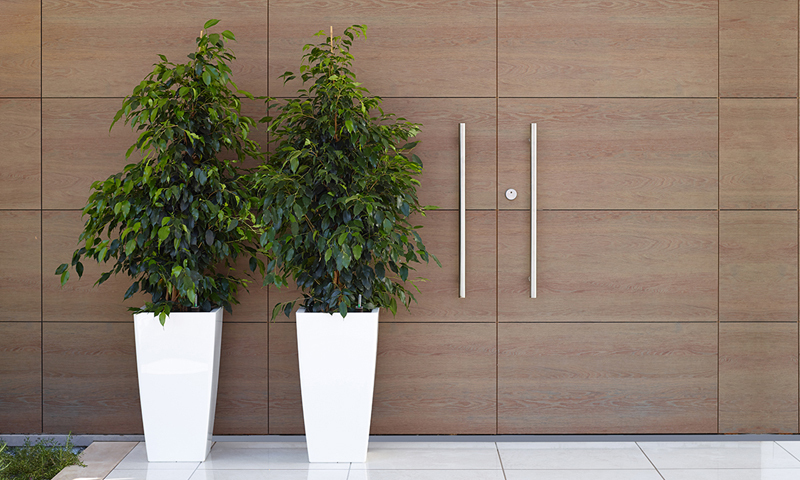 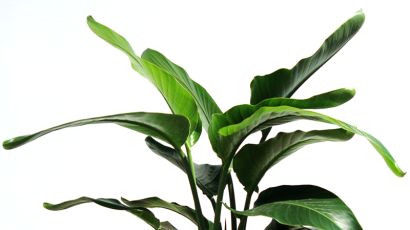 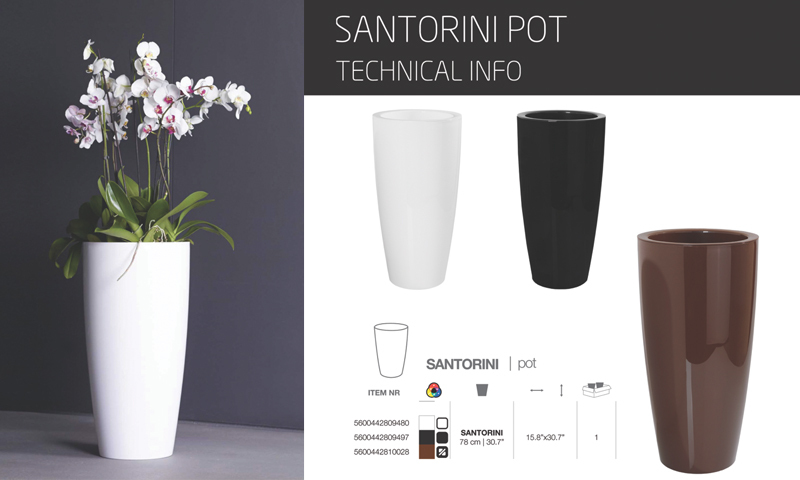 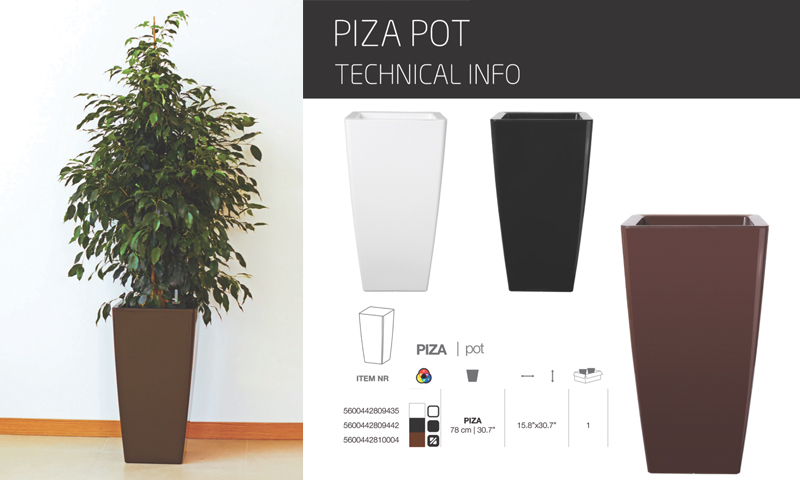 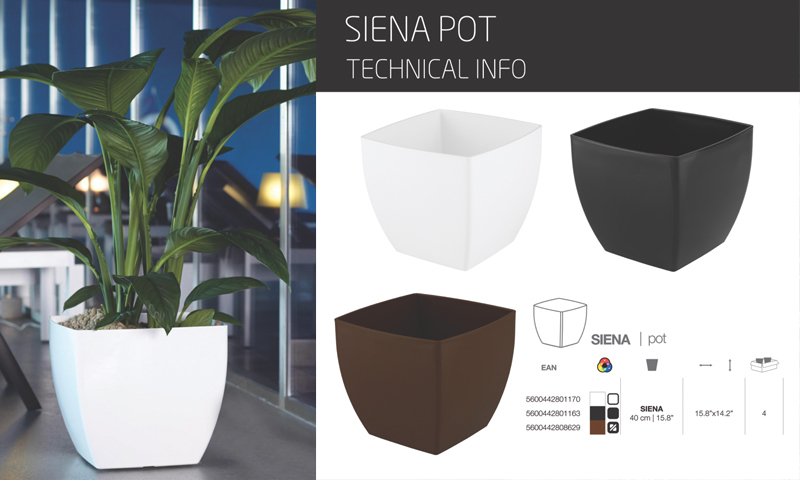 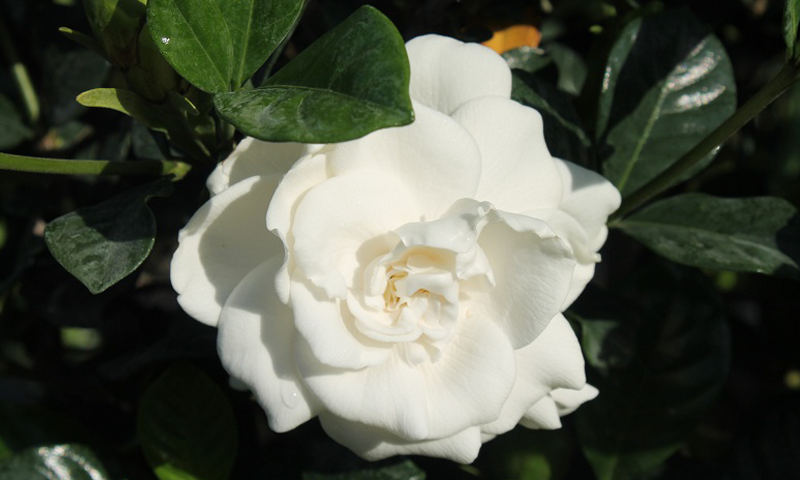 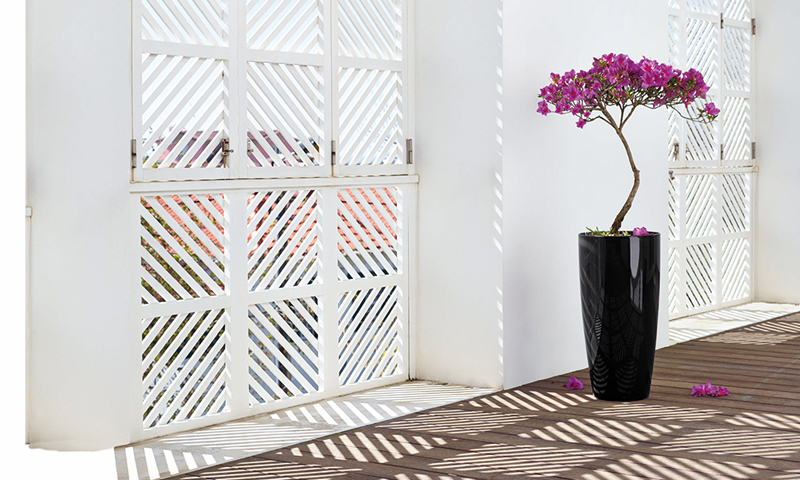 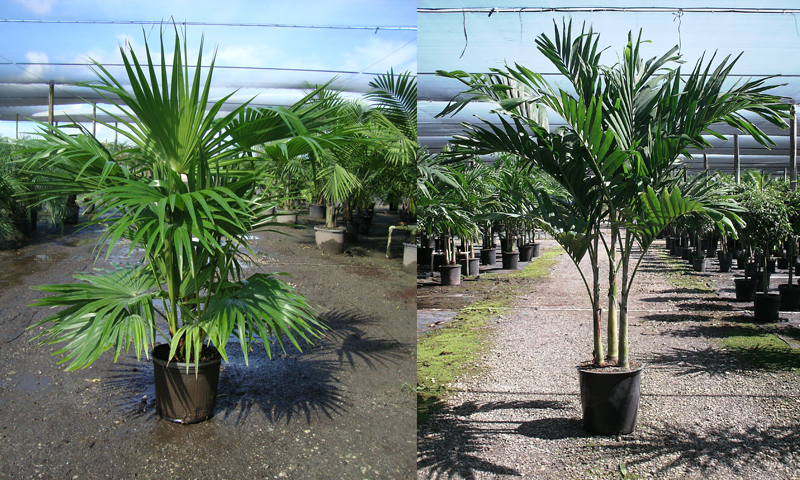 Every order is handled with the utmost care to insure delivery of the best looking plant possible. 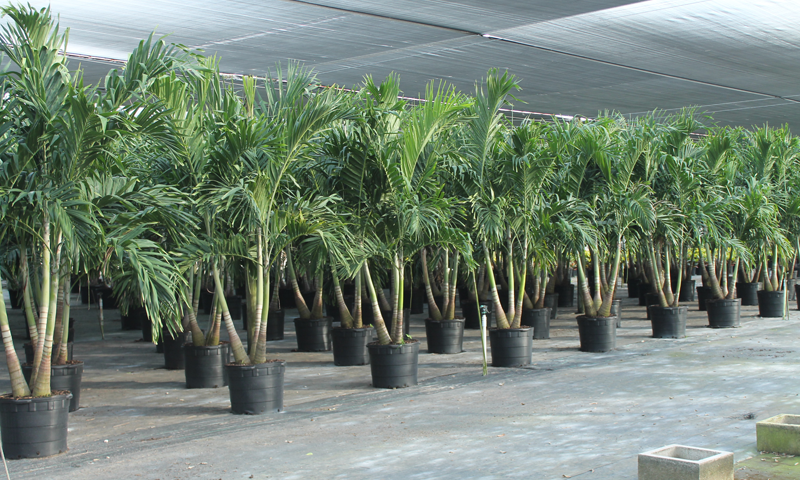 We hand load each plant and position them the best possible, maximizing load space while minimizing breakage. 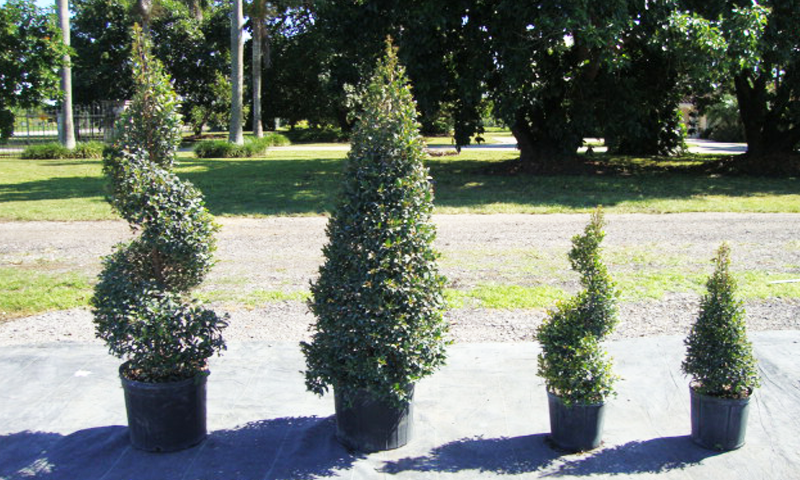 Only our most experienced workers are trusted with this delicate process.